Where Are All The Houses? When home buyers make the decision to enter the real estate market, the first thing they will do is log onto the internet and search for homes in their desired neighborhood. They will swipe and click their way through remodels, flips, fixers and “needs a little TLC”. Most homebuyers are not intially aware of the dynaics that are affecting the market they are diving into – that is, until they make their first offer on a house that they have fallen in love with, only to be outbid by multiple offers. Their agent calls them and says “hey, we just recieved a multiple counter offer from the seller and we need to respond with our highest and best offer – ASAP!” That homebuyer wonders, why would I need to pay more than the listed price? Well, here is why. At some level, we are all familiar with supply and demand, and the effect they have on prices. 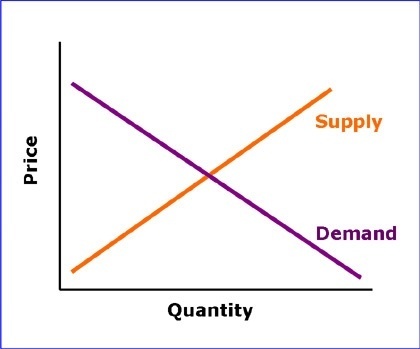 If demand is high and supply is low, the price goes up – Econ 101. Well that Econ 101 is in full effect in the San Diego home market. In the days right before the market crash in 2008 there were nearly 25,000 homes for sale in San Diego County. In the years following the crash, there were consistently 15,000+ houses on the market for sale. This makes fundamental sense – many homeowners that were in financial trouble were forced to sell. Beginning in 2013 the number of homes for sale in San Diego began to decline, and in 2017, no more than 6,000 were on the market at any given time. Fast forward to today and there are ONLY 4,614 homes for sale. What does that mean? Well, if you believe the economy is on the rise, unemployment is down and consumer confidence is rising – demand for homes is increasing. If housing supply is at the lowest level of the century, then housing prices will increase. So if you are that buyer entering the market, expect homes to move QUICKLY! Make sure you have your agent set up alerts to notify you of changes in the market – the online websites are not going to keep up and you WILL miss out. If you own a home and have been waiting to see what would happen in the market, NOW is the time. A well priced listing will garner significant attention and will not last long. Not sure how any of this affects you? Call us and we will explain 619-392-0497. As always, thanks for reading and Welcome Home!